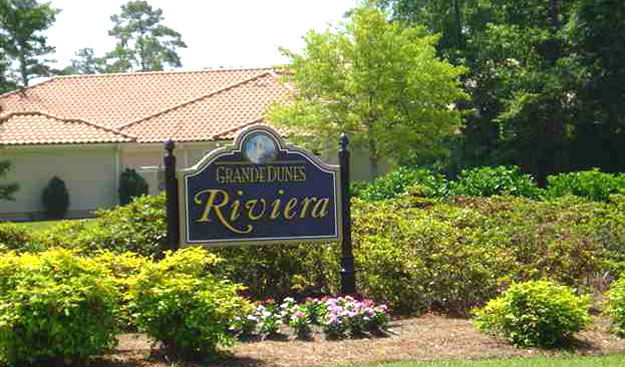 Exclusive even by Grande Dunes standards, Riviera Village is one of the most elegant neighborhoods on the Grand Strand. These palatial Mediterranean-style estate homes are located between the 7th and 8th greens of the Grande Dunes golf course. With direct views of the Intracoastal Waterway or right across the street, the homes were custom built by popular area builders and are up to 10,000 square feet in size. Read more about Riviera Village real estate. Luxury upgrades such as marble flooring and walls, cathedral ceilings, guest suites, and more give a new meaning to elegance. Stunningly landscaped private pools and elaborate outdoor entertaining areas turn these homes into showplaces. Lot prices range from $300,000 to about a million for home sites on the Waterway. The exquisite homes sell for $1.5 million to $4.5 million. 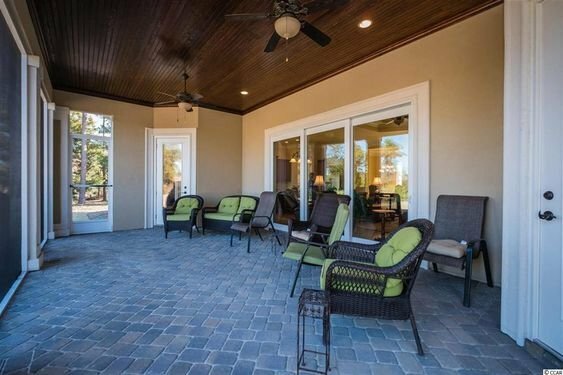 Grande Dunes residents enjoy the best amenities. Security is provided 24/7 and there is a guard at the gate all the time. The Ocean Club offers beach access, cabanas, an oceanfront pool and oceanfront dining. Optional memberships, available at the golf courses, tennis court and fitness center, allow you create the perfect experience to fit your lifestyle. Call Greg Harrelson, our Grande Dunes expert at (843) 536-8383 to learn more or schedule a tour of the elegant Riviera homes for sale in Grande Dunes.